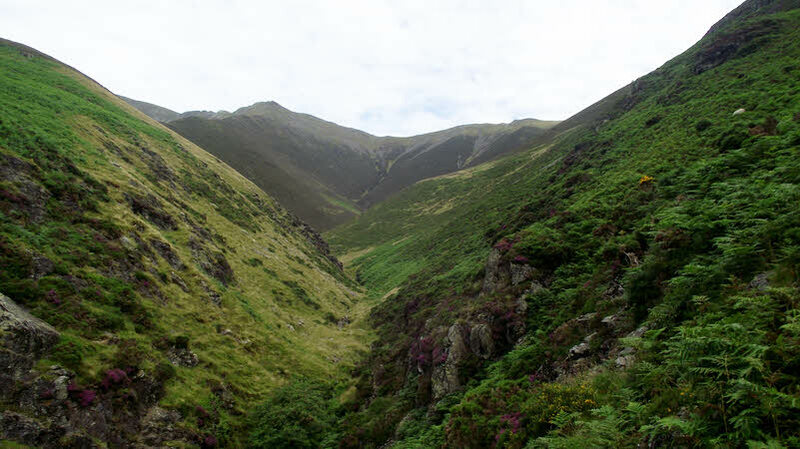 A view up the valley of Scaley Beck, on the south side of Blencathra. Doddick Fell is on the left, leading up to the peak seen on the skyline. The true summit is off to the left. To the right is part of the flank of Scales Fell.